The Belmont Abbey College men’s basketball program is a week away from opening our season with an exhibition game versus the defending national champion UNC Tarheels. What a tremendous opportunity! Our student-athletes relish and enjoy difficult challenges such as this one – playing on the road against top-notch competition, in this case the best in the land. Not only will this contest provide an opportunity to strive to achieve competitive greatness – to be at our best when our best is needed. Playing in a game like this against an opponent who can expose our weaknesses also will help us prepare for the upcoming season – and especially for play in the Conference Carolinas. 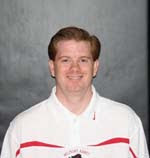 We are excited to represent Belmont Abbey College and to bring wider attention to our men’s basketball program as well.